Background/Purpose: Treatment with tumor-necrosis-factor-alpha inhibitors (TNFi) has improved the outcome in patients with psoriatic arthritis (PsA) who have failed treatment with synthetic disease modifying antirheumatic drugs (DMARDs). Failure may be due to insufficient effect or adverse events. However, knowledge on the effect of switching is scarce. We aimed to investigate frequencies and reasons for switching, treatment responses, drug survivals and predictors in patients with PsA who switched TNFi treatment in routine clinical care. Methods: PsA patients were identified in the Danish nationwide DANBIO registry. Disease activity, treatment responses (ACR20/50/70 and EULAR good response at 3 and 6 months), drug survival and predictors thereof were studied in patients receiving ≥2 different biological drugs. Results: Of 1,422 PsA patients starting TNFi treatment, 548 patients (39%) switched to a second and 189 (13%) to a third biological drug during up to 10 years of follow-up. Compared to non-switchers, switchers were more frequently women (56%/45%), had shorter disease duration (3 years/4 years), higher Health Assessment Questionnaire (HAQ) (1.1(0.6-1.6)/0.9(0.5-1.4) (median(interquartile-range))), higher 28-joint Disease Activity Score (DAS28) (4.8(4.0-5.7)/4.4(3.6-5.2)) and higher visual-analogue-scale (VAS) pain (65(46-77)/62(40-75)mm) and fatigue scores (67(50-83)/64(42-80)mm) when they started the first TNFi (all p<0.05). Main reason for switching was lack of response (57%). During the first, second and third treatment course HAQ, DAS28, CRP and VAS scores had decreased after 6 months' treatment (all p<0.05). Median drug survivals were 2.2, 1.3 and 1.1 years respectively (Figure, p<0.001). Drug survivals were similar regardless of the reason for switching to the second TNFi. 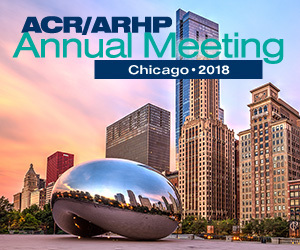 All response rates were lower during the second treatment course (all p<0.01 compared to the first treatment) and the proportion of patients achieving sustained ACR20, ACR50, ACR70 and EULAR good response between 3-6 months treatment was 22% (number needed to treat, NNT 4.5), 13%(7.9), 5%(20) and 19%(5.3), respectively. Male gender, fewer tender joints and lower VAS fatigue increased drug survival of the second TNFi. Conclusion: Nearly 40% of PsA patients in clinical practice switched biological treatment. Response rates and drug survivals decreased after switching and only one fifth of patients achieved ACR20 or EULAR good response within 6 months after switching to a second biological. Drug adherences by treatment course number. Kaplan Meyer drug survival curves.